Lacquer Lockdown: Hot Off The Stamping Press: New MoYou London Festive Collection Nail Art Stamping Plates (Christmas Edition)! 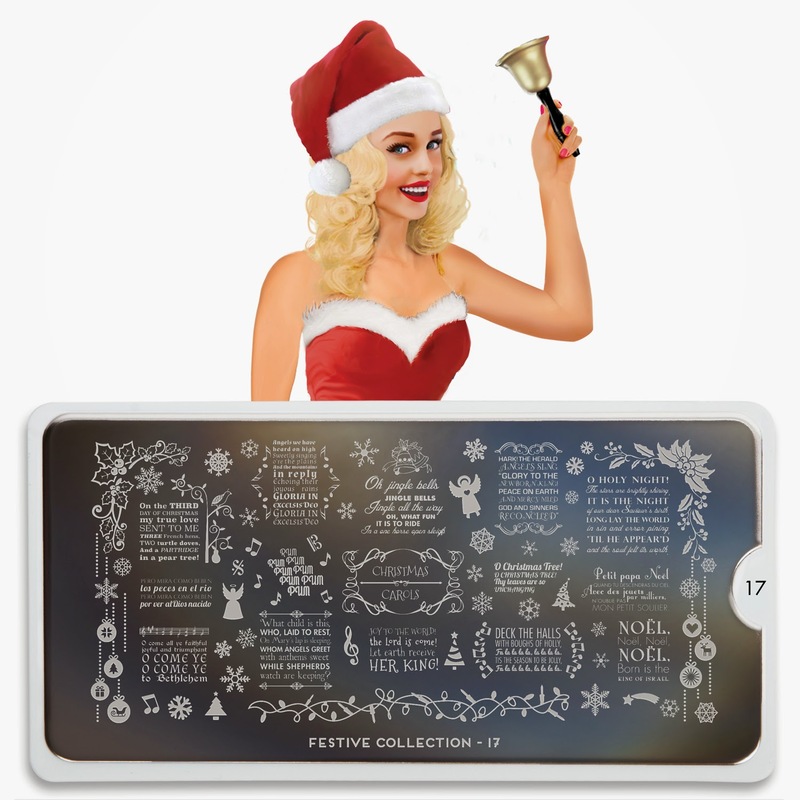 Hot Off The Stamping Press: New MoYou London Festive Collection Nail Art Stamping Plates (Christmas Edition)! How pretty! I have a lot of plates with ornaments now but what I like about this plate is the size. Large enough to actually do some detaill work with. Woot! I love 17 but you'd be missing a lot of the lyrics when you stamped! I wish I could see how the stamped onto people's nails.